Please be advised that the Archdiocesan Museum is subject to closure. Appointments are required for any type of personal or professional research or use of the collections of the Archdiocese of Santa Fe. This includes and is not limited to church history, library research, genealogical or family history research, etc. Please contact the office by telephone at 505.983.3811 to schedule an appointment. Due to the large number of requests for appointments you should schedule an appointment prior to your desired visit to the archives. Professional photography and filming, for academic or commercial use, is not permitted without submission of an application for photography/filming. 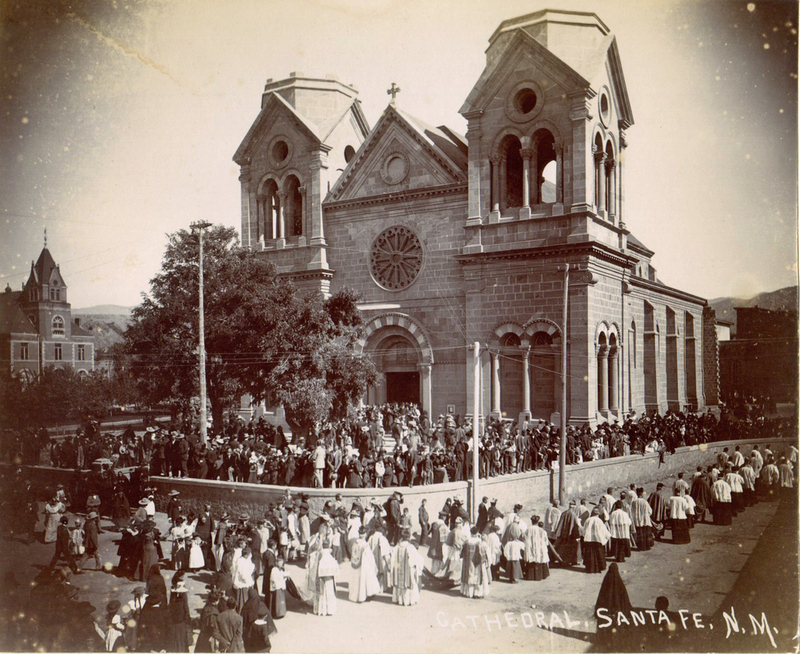 Application requests must be submitted to the Archdiocese of Santa Fe, Office of Historic- Artistic Patrimony and Archives prior to photograph/filming. Please contact the office by telephone at 505.983.3811 for more information. Administered by the Office of Historic-Artistic Patrimony and Archive. The commission was established to assist historic churches within the archdiocese and communities with preservation work on their churches. The commission should be notified for the development of preservation/maintenance projects, preservation requests and request to access churches should be submitted to Office of Historic-Artistic Patrimony and Archive, 223 Cathedral Place, Santa Fe, NM 87505.